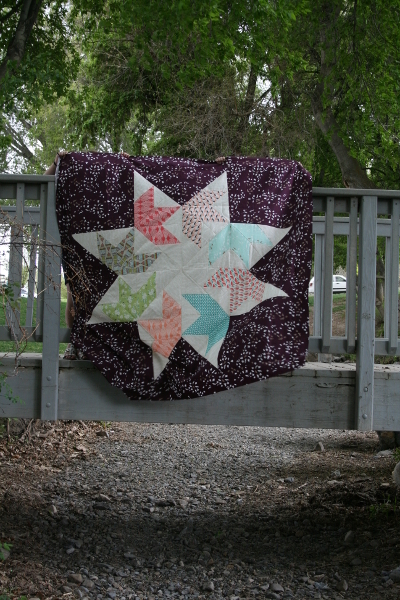 The Flight Quilt I made last year for Bonnie Christine’s blog tour was among my favorite completed projects of 2014. When I finished it, I didn’t feel done with the pattern OR Bonnie’s beautiful Winged fabric collection, so a second version was begun. I’d been working on another single block quilt (photos coming soon) and kind of had that style on my brain, so I enlarged my original pattern again and made this quilt top, titled Flight II. 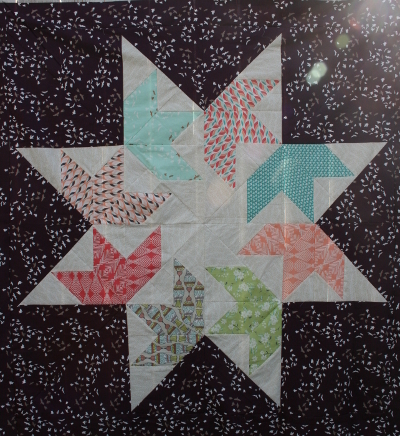 Once again, it’s my foundation paper pieced version of the traditional circling swallows quilt block. Please don’t ask me why it’s taken more than six months to take, and share, a few photos. I’ll just start rambling. At least I still love it, right? 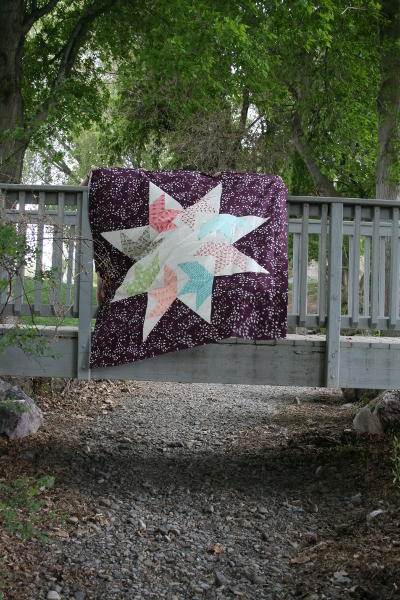 For this version I decided not to have the star points go all the way to the edges, so I added a border in the background fabric. I haven’t made many quilts with a dark background and this was a fun departure for me. I’d say it’s also the most purple I’ve ever used in any project, ever. And while I don’t love purple, I love these fabrics and the way they work together. We were laughing so hard! The rain started falling shortly after and we drove home in a downpour. Such was our spring. 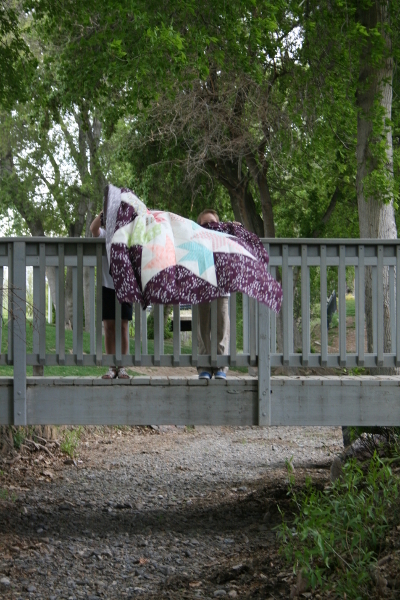 The quilt back and binding are ready and waiting for me to simply make time for basting and quilting. Oh, how I hope to finish this soon! The school year was such a crazy one; that girl I thought I was, the one who sews, is beginning to feel like a distant memory and I don’t like it. Balance has become a very real need in my life and I’m hopeful I can begin to correct things over the summer. Summer! Wow, that happened fast. Can you believe it’s June? I love this one as well. Another thing to add to my list of what I want to make… sigh!